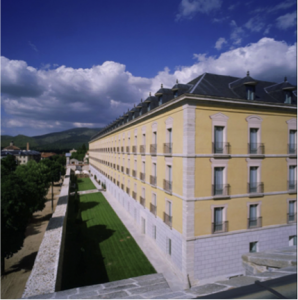 The Opening Reception will take place on Tuesday 18 at the Parador de La Granja. It will be an opening reception where some drinks and appetizers will be served. It will start at 8pm. This event is included in your Registration fee. If you plan to bring an accompanying guest to the reception, you can purchase an additional ticket at the registration desk for 30€. Segovia is a city full of history, with its origins dating back to Celtiberian tribes. 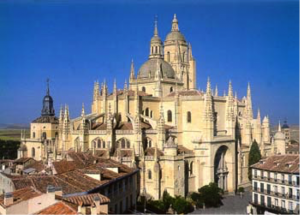 From the 16th century, Segovia’s skyline has been compared to a ship made of stone. World Heritage Route: It is, perhaps, the most representative route of the city. It takes the visitor along the main streets of the ancient city. The route starts at the feet of the Aqueduct, with a walk along Calle Real – the main street of the city -. The first stop is the sightseeing point of La Canaleja (also close to the surprising Casa de los Picos). Leaving behind the Medina del Campo square and the Romanesque church of San Martin, we will reach the Corpus Square with the former Main Synagogue, converted nowadays into the Catholic Church of Corpus Christi. Later on, we will visit the Main Square and the Cathedral. The guide ends with an explanation of the Alcázar. 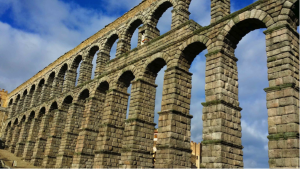 AQUEDUCT OF SEGOVIA: Located in Azoguejo Square, this unique and magnificent Roman construction from the 2nd century was aimed to carry the water from the mountains to the city. It is built with huge blocks of granite stone from Guadarrama Mountains, and there is no concrete or mortar between the stones. 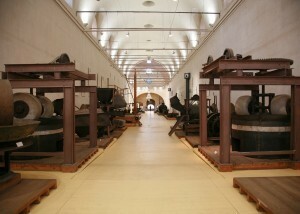 Its equilibrium is maintained by using an ingenious weight balance. Water ran on the channel at its top, and crossed the city underground until it reached the Alcázar. Its original total length, from its origin in the Sierra de Guadarrama Mountains, is 14.965 m. Its highest point is 29 meters and total number of arches of the construction is 166. This place is a protected National Monument since 1884 and World Heritage Monument since 1985. CASA DE LOS PICOS: This ancient palace was built in the 15th century decorated with diamond points and with a Renaissance style. SAINT MARTIN CHURCH: The magnificent temple is an actual sample of Castilian Romanesque art from the 12th century. CATHEDRAL: Following the late Gothic Style, the construction begun in 1525 under the direction of the architect Rodrigo Gil de Hontañón and it was finished in 1768. It has a three-nave floor with a transept covered by a dome. Facing north, we may find the Door of San Frutos, built in honour of the patron saint of the city. The grandeur and harmony on dimensions defines the inside spaces, with its beautiful glass stained windows from the 14th century and 18 chapels on the inside, decorated with important paintings and sculptures. ALCÁZAR: Its silhouette appears as an imaginary ship over the confluence of the rivers Eresma and Clamores. The Castle, built on the remains of a Roman fortress, was successively transformed. A deep moat with a drawbridge gives us entrance to a fortress situated in a privileged place. Inside the monument, we must pay attention to the Ajimeces Room, the Chimney Room, The Throne Room -with an outstanding mudéjar ceiling-, The Pineapples Room, and the Kings Chamber containing an extraordinary coffered ceiling made of golden hexagons and rhomboids, and a curious frieze displaying 52 sitting images of the Kings and Queens of Asturias, León and Castilla. The Alcázar became Royal College of Artillery in 1764. 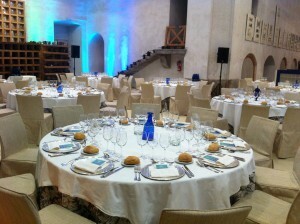 The Conference Banquet will be held on Thursday 20 at ‘Museo del Vidrio. Real Fábrica de Cristales de la Granja’. 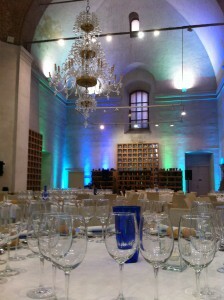 The dinner will start at 8pm. This dinner is included in your registration. If you plan to bring an accompanying guest to the dinner, you can purchase an additional ticket at the registration desk for 70€. If you require assistance getting to the venue, please come and see us at the registration desk.